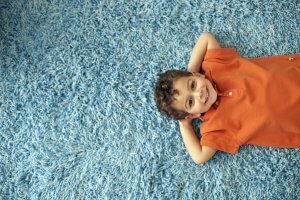 Clean carpets are just a call away in Jacksonville! Your family is important and that is why we clean for your health! 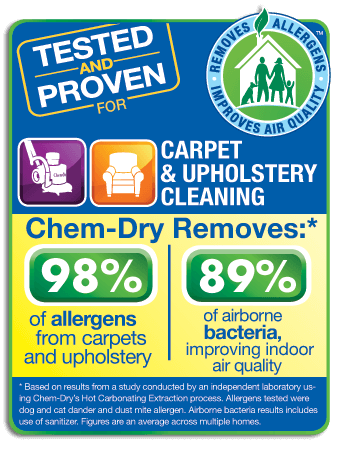 Zachary’s Chem-Dry provides the best carpet cleaning Jacksonville has to offer. Call today at 904.620.7310! If you are a homeowner with a pet, then you have probably looked around for ways to keep your home looking and smelling fresh. While four legged friends provide us with plenty of companionship, they can also provide our home with unwanted odors and dander. One of the best ways to maintain a fresh and clean home is to keep your floors and carpets clean. Routine mopping the tile and vacuuming the carpets are very good and important, but it is not enough when dealing with pet odors and dander. The oils and fur from your pet’s skin can get down deep into your carpet fibers, making it difficult for vacuuming alone to eliminate the odors. We here at Chem-Dry suggest to have your carpets professionally cleaned on a routine basis to help eliminate these unwanted odors. When choosing the right Jacksonville carpet cleaners for your home,make sure you are remembering your pet’s health and safety into the equation. You wouldn’t dream of feeding your pet food that has been moldy or gross or washing them with soaps that contain unsafe chemicals, so why would you clean your carpets with other steam cleaners in Jacksonville that use soaps and chemicals? Pets spend more time on the floor curled up, so make sure that you are choosing Chem-Dry to make your carpets feel and look clean. When looking for the best Jacksonville carpet cleaners, make sure you put us at the top of your list. Call today at 904-620-7310!